Urgent Letters In Support Of The Humane Poultry Slaughter Act In California Needed By Tuesday, April 3rd! 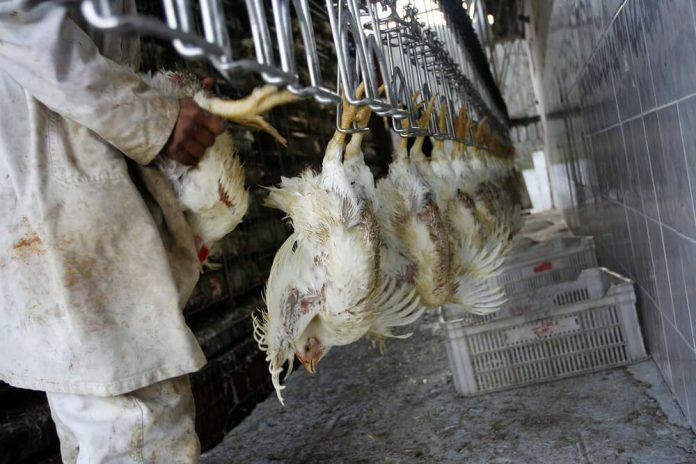 California Assembly Bill 3159, the Humane Poultry Slaughter Act, was introduced by Assemblymember Tony Thurmond and sponsored by animal advocacy groups, Social Compassion in Legislation, Humane Society of the United States, and Mercy For Animals. The Humane Poultry Slaughter Act will require that poultry be rendered insensitive to pain before being shackled for slaughter, bringing the poultry slaughter practice in line with existing regulations for all other livestock. The proposed bill would only apply to slaughtering facilities subject to inspection by the state of California. Californians are urged to send letters supporting this critical bill no later than Tuesday, April 3rd. Send your letter HERE!